Made from high quality materials with style and toughness. 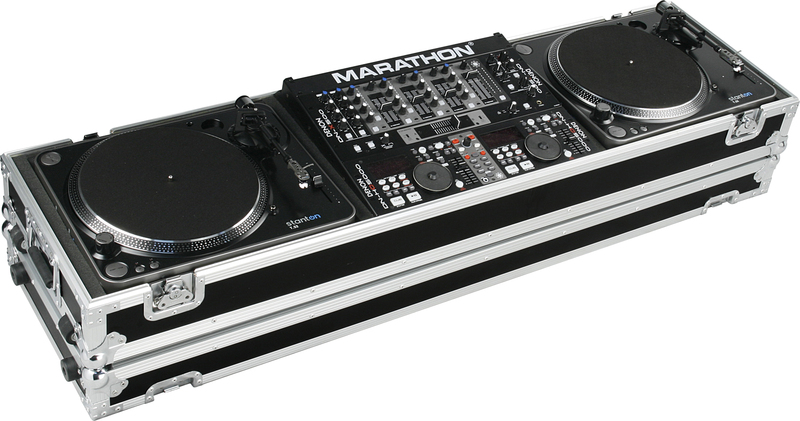 Created to hold 2 turntables and 19" Mixer with wheels for easy mobility. It comes with adjustable modular foam lining for that right fit and easy access detachable front panel.